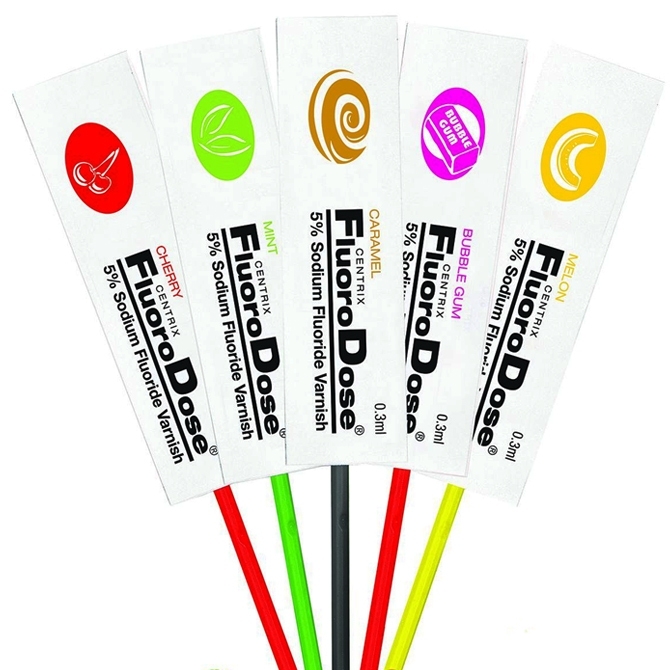 Fluoride Varnish contains 5% sodium fluoride. Unit-dose delivery allows for ease of use and cleanup. Dries in seconds upon contact with saliva. Remains on tooth for 6-8 hours for optimum fluoride uptake. Contains rosin, beeswax and red dye 40. Lactose, gl. 120- 0.3mL LoliPack + Benda Brush applicator.